Many advantages are conferred by the steel construction of vertical structure: compact structure, convenient installation and operation, low costs and high efficiency. In the steel-constructed series of complete sets of wheat flour plant, the flour milling equipment is assembled in vertical structure. The flour mill, flour receiver and bran receiver are located on the first floor; the high-plane sifter and blower on the second floor; and the air seal and cyclone on the third floor. This wheat flour plant has a compact structure, easy to install and operate, and requires a minimal investment. Wheat Cleaning Process mainly Include: 3 sieves, 2 scourers, 2 De-stoners, 1 foreign seed extractor, 3 magnetic metal separator, and 1 dampener. sieve, roto-sifter, wheat scourer, wheat brushers, gravity stoners, Destoners, auto dampener, dust collecter etc. 3 Sieves: to remove the impurities from the wheat,and classify wheat before milling. 2 Scourers: It could not only smash and remove the wheat grain which is poor strength or disease metamorphic,but also could remove the clod on the wheat surface ,the dirt and impurities attached on the wheat groove. vibrating circular screen, bran brush, pulse jet filter, auto bran packing machine ,etc. Applied to the grinding of the most cereal grains,particularly those grains having a crease,is done with a roller mill.The roller mill system lends itself to a gradual reduction process. 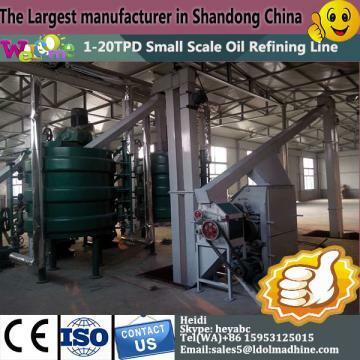 This device combined crushing,rubbing,gravity stoner,auto-sieving,scouring,dampening all processes in one. Features: Automatically wind feeding,compact structure small area occupation,good cleaning effect, low noise and power consumption,stable operating,a good mate for many kinds of milling machines. High Square Plansifer is used to sift and grade various powdery material,is a very ideal sifter device for maize processing plant, fodder plant, alcohol plant. It is featured of low power consumption, high production, and good sealing without flying powder .